After Jokia lost her best friend, we worried about her mourning. 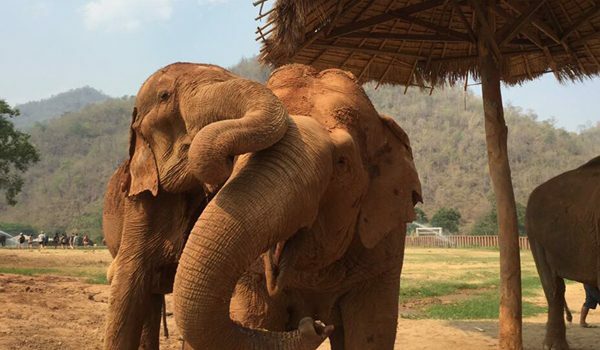 We try to walk her around the park to meet the other elephants which we hope she can find her new partner in a short time. 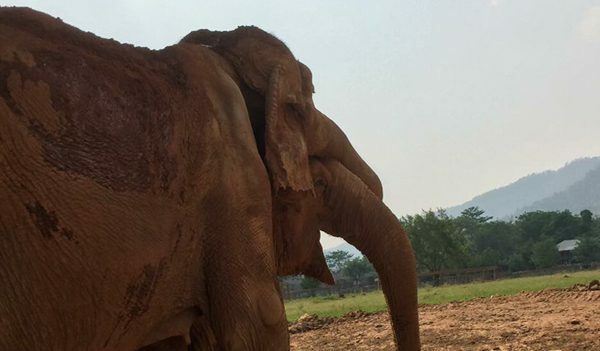 A few days ago, she met Yai Bua, the old lady elephants who just arrive the park a few months. 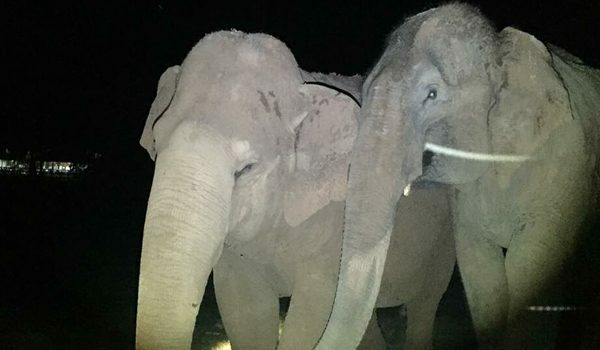 Both of them seem to have a good relationship, they used their trunk to touch and hug each other. 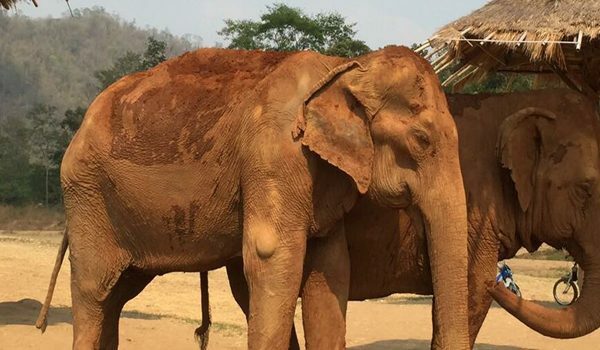 Not only the day time, Yai Bua still spend night time stand beside Jokia as her guardian. We hope Yai Bua will be the best friend of Jokia like Mae Perm used to be. Stay Strong Jokia, you are surrounded by our loves. 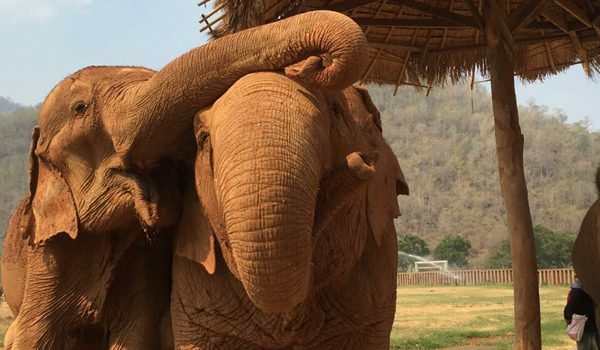 Jokia and Yai Bua having a trunk hug to each other. Hope Jokia can get a good relationship with Yai Bua. Yai Bua stay beside Jokia. 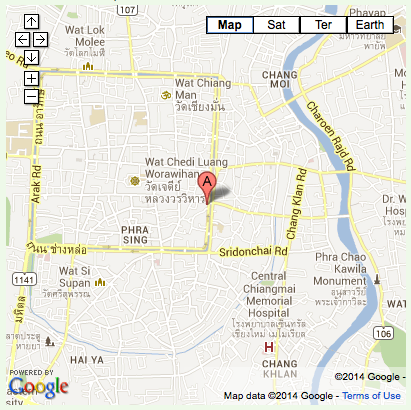 Yai Bua is comforting Jokia. Yai Bua stay beside Jokia to protect her during night time. 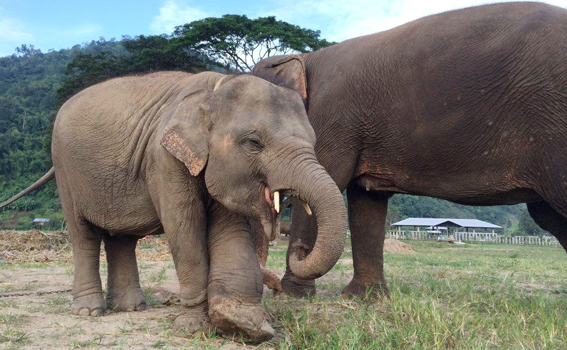 Baby elephant Faa Mai and her family always spend times together at our sanctuary.